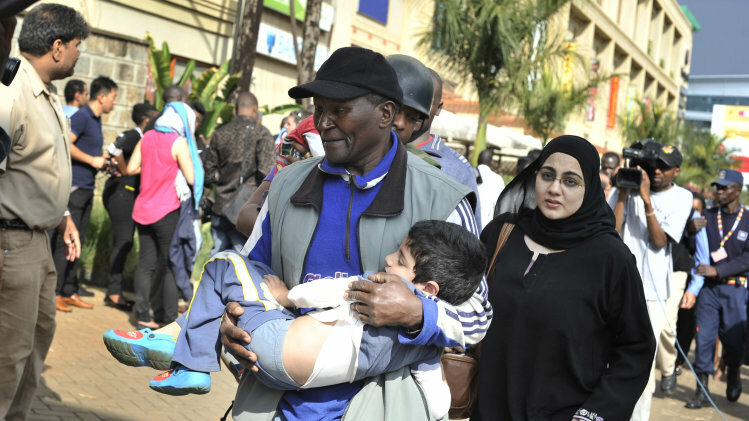 First, there was the horrific attack in Kenya's capital city on Saturday, September 21. 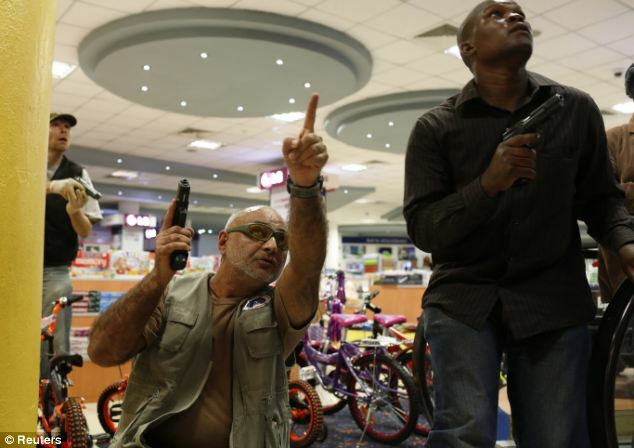 A shopping mall targeted by al-Shabaab extremists, the carnage ending four days later with nearly 70 dead and 200 wounded. The coverage was extensive in the world press highlighting Kenya's visibility as the economic hub of East Africa. What also stood out in the attack is that while al-Shabaab took credit for the bloodshed, they had recruited ideologues from many countries, including the West. Eight days later, Sunday, September 29, another Islamic extremist group, the notorious Boko Haram (fluidly meaning "Western education forbidden") attacked a college in Nigeria's troubled northeast state of Yobe, killing at least 50 students, many in their sleep. In this instance, the coverage will likely be much briefer and certainly less intense. At the risk of sounding like a drum once again, the common thread, in Teatree's opinion, is the vigorous, violent religious-directed action of Islamic fundamentalists. It seems like many years ago (in the 1990s) that the world heard a host of excuses for the first attacks on Western targets - "it is what happens when the West ignores the plight of the poor, it is because of the West's oppression of the rest of the world, it is the presence of Israel and its occupation of Palestine," etc. Over time, with fellow Muslims taking the brunt of the bloodshed, these rationales have fallen away. What remains is an extremist vision of utopia - Sharia law - and the use of force to achieve it, and an equally bewildering hesitance in so much of the world to focus on it clearly. The attack of the Westgate mall was horrific, though what stands out most in Teatree's mind is the incredible acts of bravery by outmatched police and volunteers to lead individuals out of harms way through the corridors of the mall itself. Muslim, Christian, Hindi, others all helping each other. There is something so powerful to witness bravery in action, then and there, when so much is on the line. Later, there always plenty of stories and analysis, much true, much simply repeating stereotypes. The New York Times captured one thought well - that while Kenya showcases much of what is modern, its depth of security is overstated. While the "wananchi" shown, there remains the spectacle of rivalry between police and security forces. And all that overshadowed by the spectacle of Kenya's President and Vice President both facing charges over their influence in violence during the 2007 elections when 1,200 people died and more than 500,000 were uprooted from their homes. College of Agriculture, Yobe state, Nigeria. In the comparatively sparse reports on Sunday's attack, up to 50 mainly male students at a local college were killed in their sleep by West Africa's premiere jihadists. Very few if any pictures have turned up yet - a testimony to the difficulty of media to get to these sites, and perhaps not the urgency ... As we read in allAfrica.com, "Residents believe the attack has the imprimatur of the extremist Boko Haram sect which has in the past three years slaughtered thousands of innocent Nigerians in attacks on schools, places of worship, media establishments and security installations. 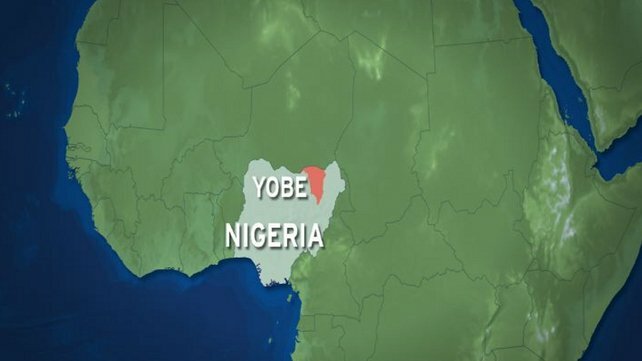 Academic activities only resumed last week in schools across Yobe state following 10 weeks of closure after the brazen attack by members of the violent sect on two secondary schools, which led to the death of 29 students and three teachers. 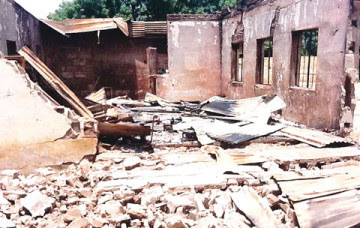 The state government ordered the closure of all schools in the northeastern state after the attack by members of the sect on Government Secondary School, Mamudo. But Government Secondary School, Mamudo, remained closed for another two weeks for the conclusion of ongoing reconstruction work in the school, the state Commissioner of Education, Mohammed Lamin said. The Boko Haram sect had on Wednesday and Thursday murdered at least 27 persons in two separate attacks in the border towns of Borno State, government officials and security sources said. ..."
In the latest AP report, "The extremists rode into the college in two double-cabin pickup all-terrain vehicles and on motorcycles, some dressed in Nigerian military camouflage uniforms, a surviving student, Ibrahim Mohammed, told the AP. He said they appeared to know the layout of the college, attacking the four male hostels but avoiding the one hostel reserved for women. "We ran into the bush, nobody is left in the school now," Mohammed said. Almost all those killed were Muslims, as is the college's student body, Usman said. Much was made over al-Shabaab gunmen in the Kenya attack asking people if they were Muslim or not, and if so, they could flee. Yet in this tragedy in Nigeria, with no westerners around, Muslims were given no pass, rather were focused targets to make the extremists point (men, not women - who will find their rightful place later). And in fact, while western victims provoke a large international outcry and coverage, it has been the Muslim populations around the trouble-spots of the world who have borne the brunt of Islamic extremists. As with Kenya, secondary reports just now starting to filter in include some disturbing news of a system out of whack. The necessary investment and discipline in providing security is simply not reliable or sufficient. In this case, the Nigerian government had promised police protection for schools if they would reopen after the July attacks. While the schools did, apparently the police protection did not come through, at least at this school. In any case, it seems to Teatree that a struggle for Islam itself is underway - it is the central question underlying both the visible attacks on westerners and on the more frequent and less covered attacks on fellow believers of Allah. From recurring unrest in Tunisia, Libya, Mali, Nigeria, and even Sudan itself, the internal struggle rages on this continent, and on into the Middle East.